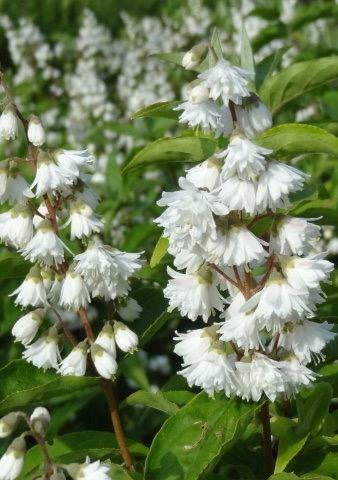 Upright habit with masses of pointed white double flower sprays, May to June. Sun or semi shade. Tolerant of most soils. 2m tall. Prune after flowering if required.